2012 was a great year for international ball. We had the Olympics, the FIBA World Championships for Boys, the Jones Cup, and several other noteworthy tourneys. In this post, we’ll look at the events that distracted us from our usual dose of NBA and local hoops, and we’ll look at the teams, the players, and the headlines that made us scream at the top of our lungs (cheering or jeering) out of patriotic pride. For the third straight year, a Filipino team made it to the ABL Finals, but, for the second straight year, that Filipino team fell short of copping the championship trophy. Led by, ironically, Filipino-American spitfire Stanley Pringle, the Indonesia Warriors scalped the San Miguel Beermen in three games to bring the ABL crown home toJakarta. Pringle led the way in Game 3 with 28 points, while American imports Evan Brock and Steve Thomas combined for 25 markers. 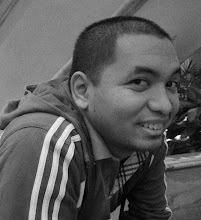 Two other Pinoy imports, Jerick Cañada and Allan Salangsang, proved vital for Indonesia’s cause. Native Indons on the Warriors’ roster combined for just 11 points in the deciding game (Mario Wuysang, Arki Wisnu, and Amin Prihantono). In their first ABL season, the Beermen did really well by advancing to the Finals, where they were the slight favorites to take the crown back to Manila – a Pinoy team, the Air Asia Philippine Patriots, won the ABL Championship in its maiden season in 2010. Import Duke Crews led the way in Game 3 for SMB with 29 points while Pringle’s fellow Fil-Am rival, Chris Banchero, poured in 16 markers. Indonesia’s Todd Purves was named Coach of the Year, Steve Thomas was named Defensive Player of the Year, while Evan Brock was feted as the Finals MVP. SMB’s Leo Avenido was adjudged Season MVP. Team USA continued to assert its dominance over the whole friggin’ world by winning two major FIBA tournaments this year – the FIBA U17 World Championships and the London Olympics Basketball Games. Led by top collegiate prospects Jahlil Okafor, Conner Frankamp, and Jabari Parker, the American boys ran roughshod over the Aussies in the Final of the 2012 FIBA U17 tourney held in Lithuania. Okafor, a 6’11 behemoth from Arkansas, produced 17 points and 8 rebounds for Team USA in the title game, while high-scoring point guard Frankamp tossed in 22 markers on 7-of-9 FG shooting. Parker, one of the biggest names on the roster, scored 12 points in just 14 minutes of play. The 6’8 17-year old combo-forward from Chicago, Illinois just announced his signing with perennial NCAA powerhouse Duke University. He will be an eligible freshman for the 2013-2014 NCAA season. His achievements have already been compared to that of another Chicago native – Derrick Rose. For his part, Dante Exum, a 6’4 shooting guard out of Melbourne, led the Aussies with 21 points, 6 rebounds, and 2 assists on 8-of-17 FG shooting. This early, he’s being eyed as a potential lottery draft pick in the NBA once he becomes eligible in 2014. NCAA heavyweights Georgetown and Indiana have reportedly tendered offers for him to play in their respective programs. In the London Olympics, Team USA remained the undisputed king by romping through the competition and punching through undefeated, 8-0. They didn’t have the easiest of times in a couple of games (they beat Lithuania by just 5 in the elims and beat Spain by just 7 in the gold medal game), but it was clear they were the heavy favorites to retain the title – and they did just that. international basketball scene in 2012. Kevin Durant was awesome in the final game, finishing with 30 points and 9 rebounds, while Spain’s Pau Gasol netted 24 markers, 8 boards, and 7 dimes. 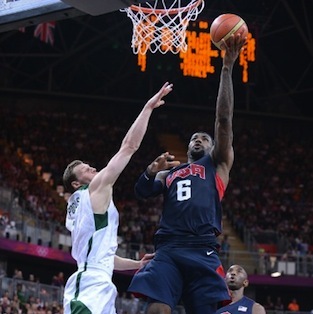 LeBron James and Kobe Bryant added 19 and 17 points respectively for the Americans, while Juan Carlos Navarro and Marc Gasol scored 21 and 17 points respectively for the Spaniards. Team Energen Pilipinas failed to improve or even duplicate the fifth place finish of the 2010 U18 national team after they lost to Taiwan in the battle for fifth place in the 2012 FIBA Asia U18 Tournament in Mongolia. The Pinoys went 2-1 in the group stage, beating Saudi Arabia, 95-52, and Kazakhstan, 83-69, before bowing to a bigger Iranian squad, 72-93. 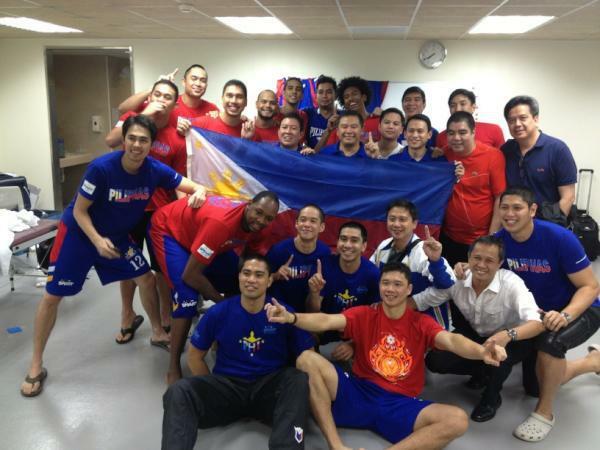 They went undefeated in the crossover second round, beating Indonesia, 88-62, Taiwan, 88-83, and Bahrain, 99-72. Despite this, they wound up third in Group F after Iran was upset by the Taiwanese, 78-77. This made Iran the top seed, while Taiwan gained the second spot. The Pinoys faced old nemesis Korea in the quarterfinals and lost, 90-77, after the Koreans pulled away in the third period. NBA prospect Lee Jong-Hyun led Korea with 26 points and 18 rebounds, while FEU-FERN’s Jerie Pingoy led Energen’s cause with 19 markers. Team Pilipinas rebounded against Lebanon, 80-69, to set-up the rematch with Taiwan for fifth place. LSGH shooter Mario Bonleon led Energen with 19 points, while Ateneo Blue Eagle G-Boy Babilonia grabbed 8 rebounds in their win over the Lebanese. The Pinoys failed to repeat over the Taiwanese in the next game as their EABA rivals swelled the gap, again, in the third canto. The duo of Fang Shih-En (6’8”) and Lin Kuan-Chun (6’2”) ate up our frontline with a combined 38 points, 21 rebounds, and 8 steals on 13-of-19 FG shooting. NU’s Jay-J Alejandro led Energen with 22 points, while Pingoy and Bonleon each contributed 15 markers. Top Pinoy center Jay Javelosa was not able to play in this game due to injury. Though the 2012 Jones Cup in Taiwan was meant to be a tune-up tournament from which the Gilas boys were supposed to learn lessons, it became, instead, a beacon of hope as coach Chot Reyes successfully steered the Philippine NT to the title. In doing so, coach Chot duplicated what coach Tim Cone was able to do with the 1998 Philippine Centennial Team – a team that finished third in the 1998 Asian Games. Current Bgy. Ginebra starting point guard LA Tenorio came up big in the final game against the United States, scoring 20 points, including the go ahead pull-up jumper that sealed the historic win. Tenorio also grabbed 6 rebounds and handed out 3 assists. Jeff Chan backed him up with 18 points on the strength of 5 treys, while Marcus Douthit registered 17 markers, 12 boards, and 2 rejections. Gilas won 7 of its 8 games in the tournament, losing only to Lebanon. Douthit was the team’s best player, averaging about 16 points and 11 rebounds per outing. Chan was the only other player who normed double-digit scoring with 11.6ppg. Despite a slow start in the tournament, and playing behind Sol Mercado in the rotation early on, Tenorio was named tournament MVP due to his delivery in the clutch. This win brought renewed faith in the Gilas program, and bolstered their chances for placing well in the big tourney for which they were really preparing – the FIBA Asia Cup in Tokyo. time in 14 long years. Despite Gilas’s strong showing in the Jones Cup, they weren’t able to pull off another stunner and win the FIBA Asia Cup in Japan. The championship, instead, went to WABA powerhouse Iran, which was undefeated throughout the competition, 7-0. Iran faced a gritty Japanese home squad in the Finals. They had beaten the Japanese earlier in the tournament in a tight contest, 71-65, and the Japanese gave them hell in the championship match, too. Despite the usually potent pairing of Kosuke Takeuchi and naturalized center JR Sakuragi having a tough time on offense, the Nippon five kept in-step with Iran thanks to the sniping of young wingman Kosuke Kanamaru. Kanamaru, who plays for the Panasonic Trians in the Japanese Basketball League (the JBL, which is different from the BJ League, has company-sponsored teams like the PBA; it will be re-structured into Japan’s National Basketball League starting mid-2013), connected on 4 triples to lead Japan’s charge with 16 points. Iran, however, played a bit more solid basketball in the endgame thanks to the scoring of Samad Nikkhah Bahrami (who else?) and the imposing presence of Asghar Kardoust. In the end, Iran narrowly beat Japan, 53-51, and took home its first ever FIBA Asia Cup, which was formerly known as the FIBA Asia Stankovic Cup. Gilas faltered in the battle for third, losing to perennial tormentor Qatar, 79-63. Naturalized former LA Laker Trey Johnson led the Qataris with 16 points along with Mohammed Yousef and Erfan Ali Saeed, both of whom combined for 27 points and 20 rebounds. Not surprisingly, Marcus Douthit led the Philippines with 17 points and 10 boards, while Gary David and Jared Dillinger contributed 15 and 12 markers respectively. Gilas got badly beaten on the boards, 31-47, and Qatar shot well from beyond the arc (33%). I believe, however, that, eventually, one of the slots in West Asia will be given to East Asia because apart from Iran and Lebanon, historically speaking, only Jordan, Syria, and maybe Iraq are the only other teams capable of competing at such a high level. I doubt if Syria will be able to send a team (I hope I’m wrong, though) because of the current peace and order instability there. This means that one slot will probably be given to East Asia, since, historically speaking, it has the most concentrated roster of traditional Asian powerhouses – China, Korea, Japan, and Taiwan. Due to the not-so-ideal security situation in Beirut and its surrounding areas (read: Syria), the 2012 FIBA Asia Champions Cup Final between Lebanese club Al-Riyadi and Iran’s Mahram squad was postponed indefinitely. This was NOT the only unusual thing about this past year’s Champions Cup, of course. For one, a record-low 5 teams joined, presumably because, again, of the not-so-ideal security situation in the area. Not all the FIBA Asia subzones were represented, as the Gulf region, South Asia, and Southeast Asia did not send representatives. Al Rayyan of Qatar, AL Shabab of Kuwait, the Indonesia Warriors, and the San Miguel Beermen were all supposed to join, but miscommunication and security concerns caused those teams to withdraw participation. Considering how this event was supposed to gauge the readiness of Beirut to host 2013’s FIBA Asia Men’s Tournament, I wonder how the FIBA Asia bigwigs are feeling right now. Despite the twin heartbreaks of Energen Pilipinas and Smart-Gilas on the court, perhaps the deepest wound Pinoy basketball fans received in 2012 was when FIBA Asia awarded the hosting rights to the 2013 FIBA Asia Men’s Championships to Beirut and NOTto Manila. This despite the Samahang Basketbol ng Pilipinas (SBP) being the ONLY national association to go as far as to give FIBA Asia Secretary General Hagop Khajirian a personal tour of the facilities in Manila, and this despite the SBP delivering the most polished presentation to FIBA Asia’s primary decision-makers. Here’s the thing, though – if FIBA Asia decides to hold the final game of the 2012 Champions Cup somewhere else (probably a more stable area like Dubai, UAE, or Doha, Qatar), then what does this say about the readiness of Beirut to hold the Men’s Championships? More importantly, what does this say about the FAITH of the other FIBA Asia member countries in Lebanon’s ability to be a host? And what does it say about the decision-making of FIBA Asia? It’s all wrapped in intrigue and uncertainty, so let’s all see how it develops. Here’s my fearful prediction, however – by the end of the first quarter of 2013, FIBA Asia will realize that they cannot possibly stick to their guns and let Beirut host. They will run back to the SBP to see if Manila is ready to be the back-up host. SBP, of course, will decline out of wounded pride. This will leave FIBA Asia with no other choice but to turn to (who else?) the Chinese, who are ALWAYS ready to host such events – this is actually very similar to what happened to the 2011 edition, which was supposed to be in Lebanon, too. The long and short of it is don’t be surprised if the 27th FIBA Asia Men’s Championship will, indeed, be held somewhere in China. Shaking your head? Yeah. Get used to it. • After the 2014 FIBA Basketball World Cup in Spain, the next edition will be moved to 2019 (instead of 2018) and will be played every four years from then on. A total of 32 teams (increased from 24) will participate in FIBA’s flagship event. • The qualification period for the FIBA Basketball World Cup will be held over the course of two years and consist of six windows which will be in November (2017), February, June, September, November (2018) and February (2019). The exact period and length of these windows will be defined in the coming months in collaboration with all stakeholders. The national teams will be divided into two divisions – Division A and Division B – with groups of three or four teams in an open system with promotion and relegation. Games in the qualification period will be played in a home-and-away format. • Asia and Oceania will play in a combined Asia-Pacific region to qualify for the FIBA Basketball World Cup, but universality will remain in place for the qualifying process to the Olympic Games. • As of 2017, the continental championships will take place every four years (2017, 2021, 2025) with a similar system of qualification as for the FIBA Basketball World Cup and which will come into action after FIBA’s flagship event in 2019. The windows will follow the same principle as the qualifying process to the FIBA Basketball World Cup but will be adapted in the Olympic years (2020, 2024). Confused? Then read my own take on it here. This means FIBA, in an effort to try and avoid direct competition for markets between basketball and football, adopted changes patterned, ironically, after the system of FIFA – the group from which they were trying to distance themselves. In short, the qualification for future FIBA World Championships (now renamed FIBA World Cup; qualification starts in 2017) will be very similar, if not identical, to the qualification process for the FIFA World Cup. This will also apply to FIBA’s continental championships. Implication? The process will be longer, domestic leagues will be interrupted to a more significant degree, and teams will lose the chance to get exposed to high-level competition because of the “promotion and relegation” system. Shaking your heads even more? I told you to get used to it, didn’t I? This is the third part in a series of posts detailing the “Top Basketball Stories of 2012.” I’ve already posted the Top NBA Stories and Top PBA Stories. The fourth and last part will be about the Top Local Amateur Basketball Stories.